SLIDELL — A St. Tammany Parish city that recently promised a judge it wouldn't enforce its allegedly unconstitutional panhandling-permit law should have expected a challenge, a Loyola University law professor and an attorney said in recent separate interviews. "Slidell knew full well this would be challenged," William P. Quigley, law professor and director of the Law Clinic and the Gillis Long Poverty Law Center at Loyola University, said during a Louisiana Record email interview. "Their lawyers probably also advised them that they would stand a significant chance of losing as have most of the others across the nation. The First Amendment is a powerful shield to stop government." The city did the right thing when they decided to stop enforcing the law before they were compelled to in the lawsuit filed against them by the American Civil Liberties Union of Louisiana, Gretna-based attorney and former police officer Peter Russell told the Louisiana Record. "The city should exercise more restraint because this obviously treads on peoples' rights to free speech," Russell said. The case also has placed him in an odd position, Russell said. "One thing I want you to make very clear is that I'm not a supporter of the ACLU," he said. "In many of their activities, I see them as a political animal, they have an agenda. It's just that in this case, I agree with them." The ACLU of Louisiana filed its complaint Dec. 19 in Louisiana's Eastern District on behalf of Gary Blitch, David Knight and Daniel Snyder. All three men are described in court documents as a Slidell resident "who actively solicits alms in the city.” Blitch also is described as a U.S. Army veteran. The case was filed against the city, Mayor Freddy Drennan and acting Slidell Police Chief Eugene Howard. The city's lawmakers claim their ordinance, initially passed last summer with some minor changes in October, was in response to a problem the city has been having with beggars on its streets. 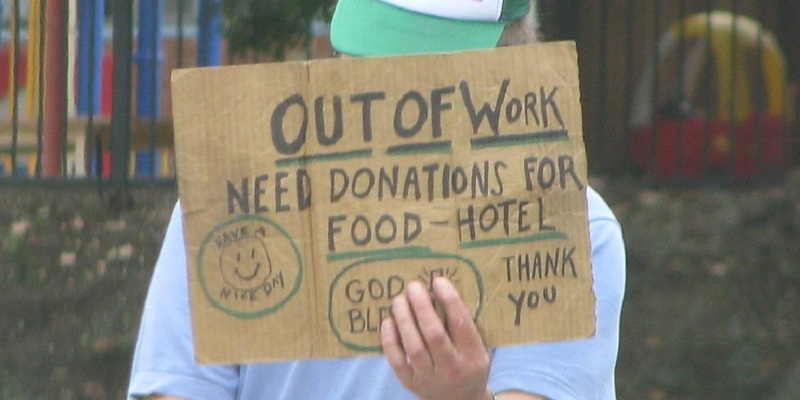 Slidell, a city of about 27,000 on the northeast shore of Lake Pontchartrain in St. Tammany Parish, reportedly has seen an uptick in panhandling over the last several years, according to Fox8Live.com, with many voicing concern about the criminals in their numbers. The ordinance requires anyone who solicits for alms in within the city's limits be registered with the police and obtain a free permit. A permit application may be denied should an applicant have previous violent criminal history. The ordinance also requires each permit recipient to wear the permit on his or her chest that it may be inspected upon request. The ACLU of Louisiana issued a letter and statement saying the ordinance is a clear violation of First Amendment speech protections. "Just as constitutionally untenable is the provision requiring panhandlers to register with the City and obtain a permit prior to begging," the statement said. On Jan. 10, less than a month after the ACLU of Louisiana filed the lawsuit, Slidell attorneys told the judge in the case, U.S. District Judge Lance Africk, that the city won't enforce the ordinance, according to The Advocate. That made moot a plaintiff's motion for a preliminary injunction to block enforcement of the ordinance. "Yes, not enforcing the ordinance was smart," Quigley said. "If they enforced it, the people they used it against could sue them for damages." According to PacerMonitor.com, a scheduling conference had been set for Wednesday, Jan. 25, during which a court date may be set. The judge also probably has ordered attorneys on both sides to set out their legal and factual arguments about whether the ordinance is constitutional, Quigley said. "Because there a few facts in dispute, it should not take long," he said. Russell recommended the city of Slidell reach out to the Louisiana ACLU. "They should try to come up with a plan that would be acceptable to both groups," he said. Want to get notified whenever we write about ACLU of Louisiana ? Sign-up Next time we write about ACLU of Louisiana, we'll email you a link to the story. You may edit your settings or unsubscribe at any time.